Michael serves as Executive Managing Director of M&A, primarily in the Central US region. In that capacity, he manages a team of Dealmakers, including Sr. Managing Directors, Managing Directors, Sr. Vice Presidents, Vice Presidents, and Senior M&A Advisors that specialize in middle market deals. As Executive Managing Director of M&A, Michael Goss works directly with private middle-market business owners in developing and executing exit strategies. He also serves on Generational Equity’s M&A Executive Committee. Michael has directly contributed as lead dealmaker, supervising dealmaker, and supporting dealmaker at Generational Equity, accumulating aggregate transaction value in excess of half a billion dollars for clients. Michael brings over fifteen years of M&A advisory and deal negotiation experience, financial valuation, forecasting, auditing, and analysis, as well as market research experience to his current position with Generational Equity. Prior to serving in his current position, Michael was Senior Managing Director & Group Leader of the Central US Region leading and supporting M&A advisory and negotiation services along with financial valuations and marketing duties, and prior to that he served as the Regional Managing Director Central US and prior to that the Sr. Vice President of the Northeast and East North Central US Regions. He started his career at Generational Equity leading a team of evaluation associates as Valuation Manager. Michael was a Winner of The M&A Advisor 5th Annual 40 Under 40 Achievement Award in 2014, and was named D-CEO Magazine's Investment Banker of the Year finalist in its 2019 M&A Dealmakers of the Year Awards. 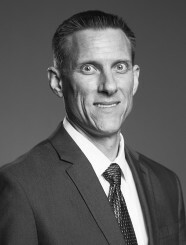 Michael Goss holds a Bachelor of Science degree in Business Administration with a concentration in finance from California State University, Fresno. He also holds a Master of Business Administration with a dual concentration in accounting and finance from the University of Texas.